Talbot's Seafood Bar wins Best Seafood Restaurant in Connaught - Yes Chef Awards 2017 and Barony Restaurant receives AA Rosette for 2016/2017. Congratulation to Pat Calpin (Headchef) and his team on not only winning Best Seafood Restaurant in Connaught at the Yes Chef Awards 2017 but also securing another Rosette for The Barony Restaurant at the Talbot Hotel, Belmullet. 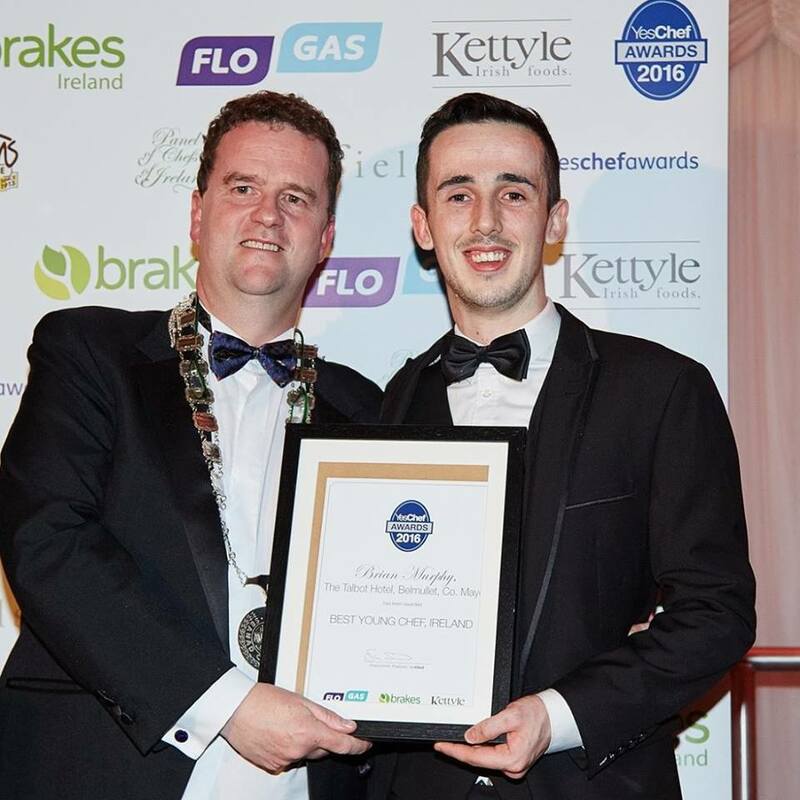 Congratulations to our very own Brian Murphy - Best Young Chef in Connaught and Best Young Chef in Ireland as voted by Yes Chef Awards 2016. Second AA Rosette for the Talbot Hotel. The Talbot Hotel Belmullet once again won the prestigious AA Rosette for culinary excellence for the beautiful Barony Restaurant, a great achievement for our Boutique hotel in Belmullet. This was achieved by 2 local Chefs Brendan Conmy (headchef), and Pat Calpin and all the team. Well done to all our staff!! Erris - The Best Place to GO WILD!! AA Rosette for the Talbot Hotel. The Talbot Hotel Belmullet has joined the prestigious AA Rosette family winning an AA Rosette for culinary excellence for the beautiful Barony Restaurant, a great achievement for our Boutique hote in Belmullet. Of particular pride to Tom and Orla Talbot is that not ony are they "True to Region, True to Season" when it comes to food, but this was achieved by 3 local Chefs Brendan Conmy (headchef), Orla Murphy, Pat Calpin and all the team. 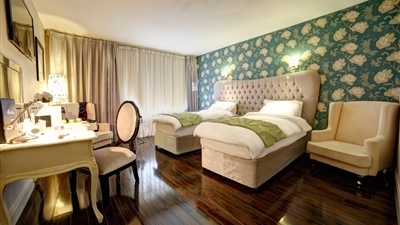 We were delighted to offer one lucky winner a luxury stay at The Talbot. Keep an eye out for our prize offers throughout 2014! Have a look at the link below. Another great report! The Talbot Hotel is officially opened by Daniel O Donnell August 24th 2012. We were delighted to recieve a review from Niamh Byrne from the Sunday World Newspaper published August 14th 2011 and how right Niamh is, Belmullet really is an area of unspoilt beauty ........... well worth the visit! !